Versele Laga Colombine Pickstone Red comes at a consistency of a hard cake which contains select minerals, salt and trace elements. It is useful at keeping your pigeons away from the fields. Marine shells grit, ground oyster shells, redstone, stomach gravel, salt, phosphate. To be placed at free disposal the whole year through. 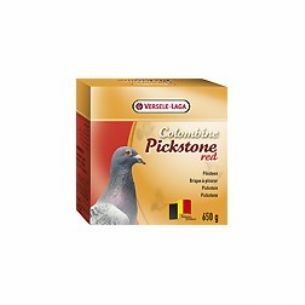 There are currently no questions for Versele Laga Colombine Pickstone Red Pigeon Supplement - be the first to ask one!